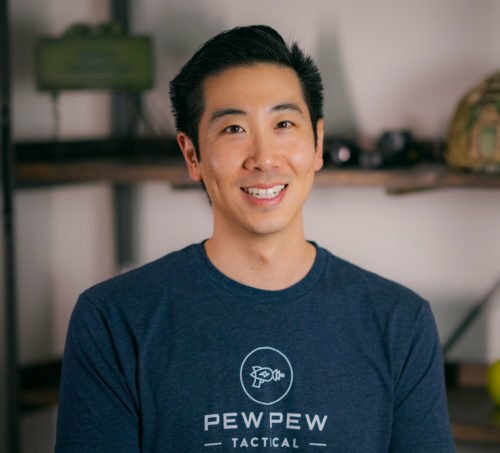 Looking for a modular holster system for multiple guns and holster types? 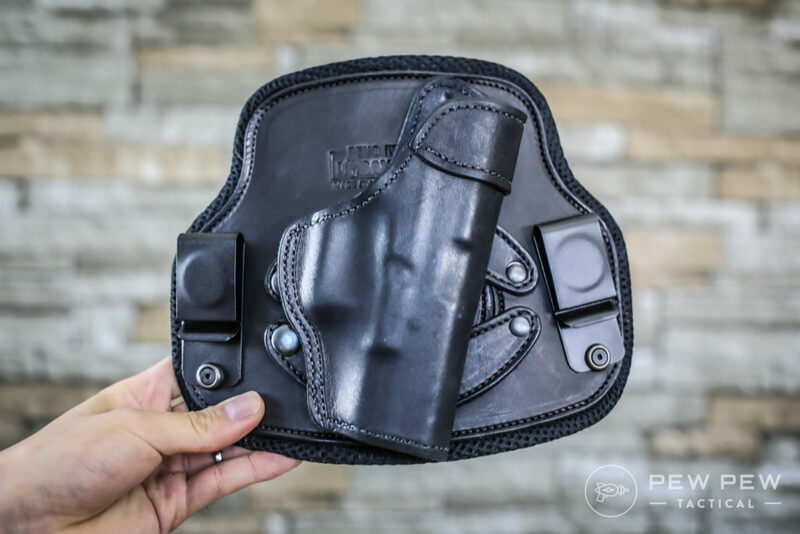 Check out Urban Carry’s new Revo Holster that covers over 100 popular handguns and 7 holster types. Yes, from the folks that made the Urban Carry G2. Footsteps of a Navy SEAL! While it does have its fair share of hiccups, the Revo can be the perfect solution for some. 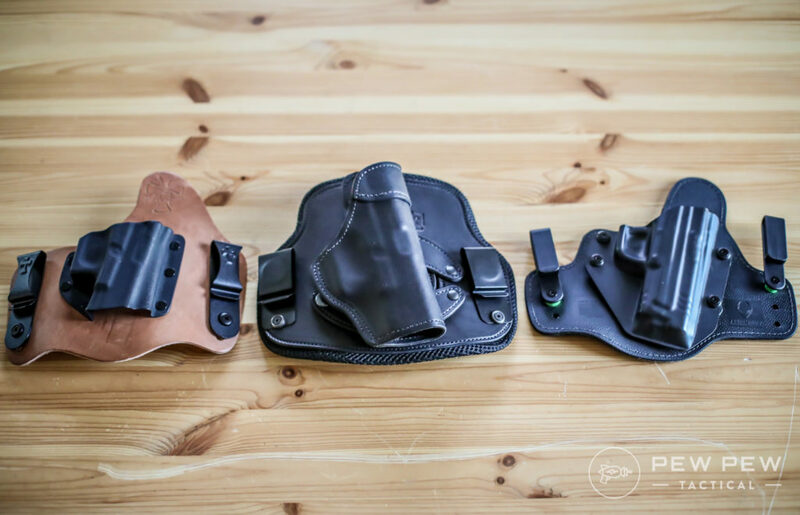 *Disclaimer: Urban Carry hosted me and provided these holsters to me for my unbiased review. These are prototypes and several changes were made for the production model launching October 19, 2017. How Does the Revo Work? 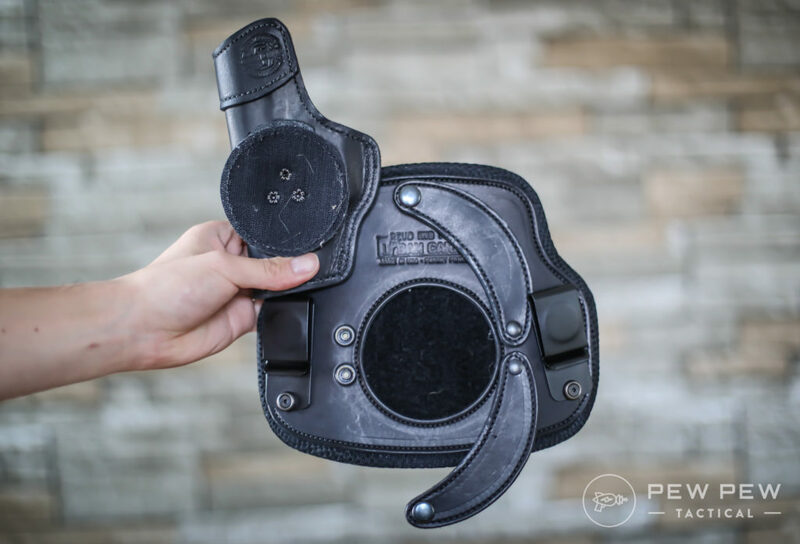 The basis of the Revo modular system is a sculpted leather gun shell ($35) with a velcro backer that goes into 7 different holster types ($30-$120). And how did the Revo gets its name? 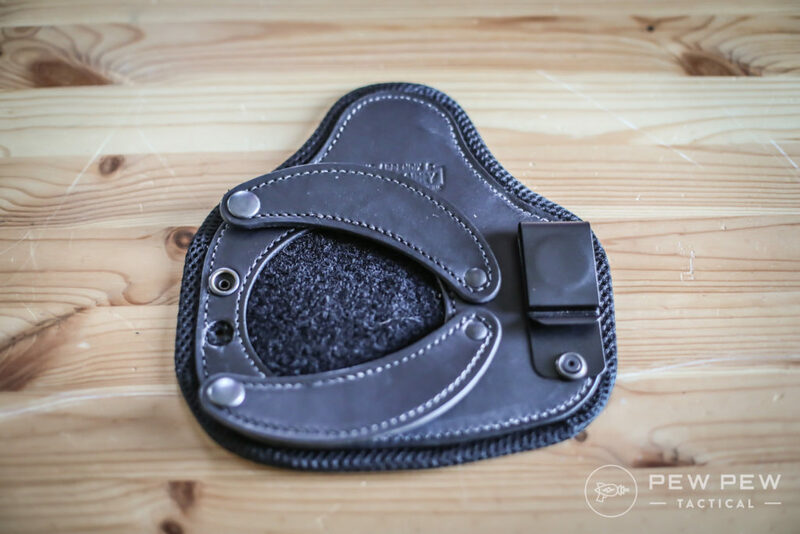 You can revolve the shell at any angle into the holster. 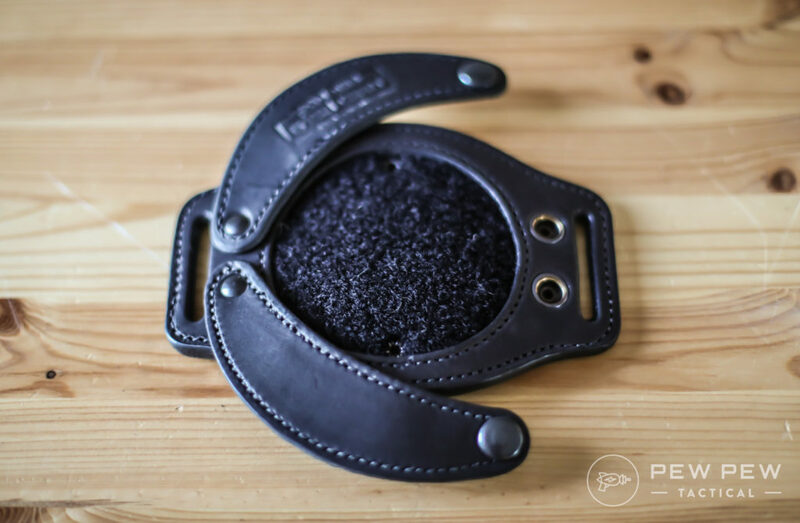 The flaps then go over the velcro to snap in and secure the shell into the holster. And before I continue…yes, it does look a little anatomical. Many lols were had when I showed my friends. And eye-rolls from the WAGs. Looks like we never escape our inner 13 year-old boys. 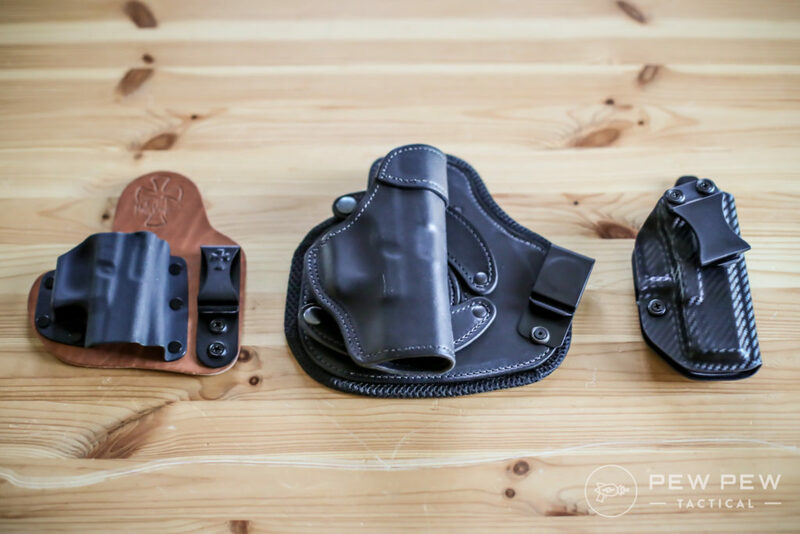 For most…I would recommend getting a specific holster that does its one job well. 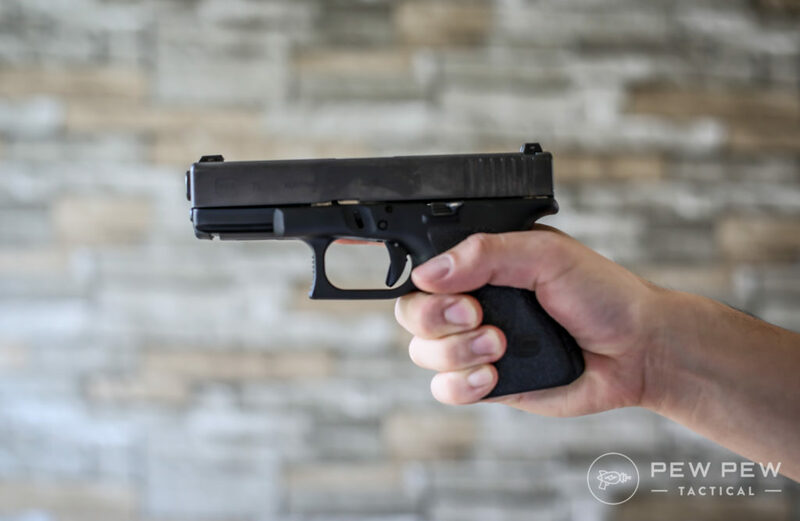 You can check those out in our Best Concealed Carry Holsters guide. But…the Revo is great if you have multiple guns and carry multiple ways. You end up saving a lot since you only need a different shell for each gun while the holsters stay the same. Lastly, is if you like carrying at an unconventional angle, like a horizontal draw at your back (6 o’clock). Then the “revolution” really shines. 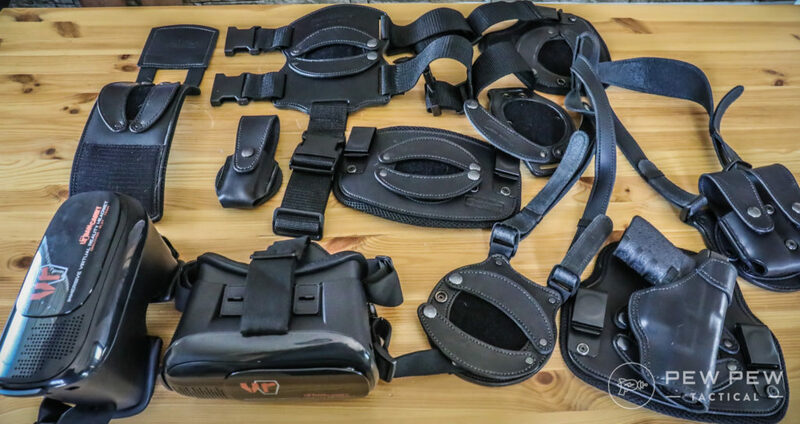 Now let’s go over the 7 individual holsters in the Revo system. My most common way of carrying. 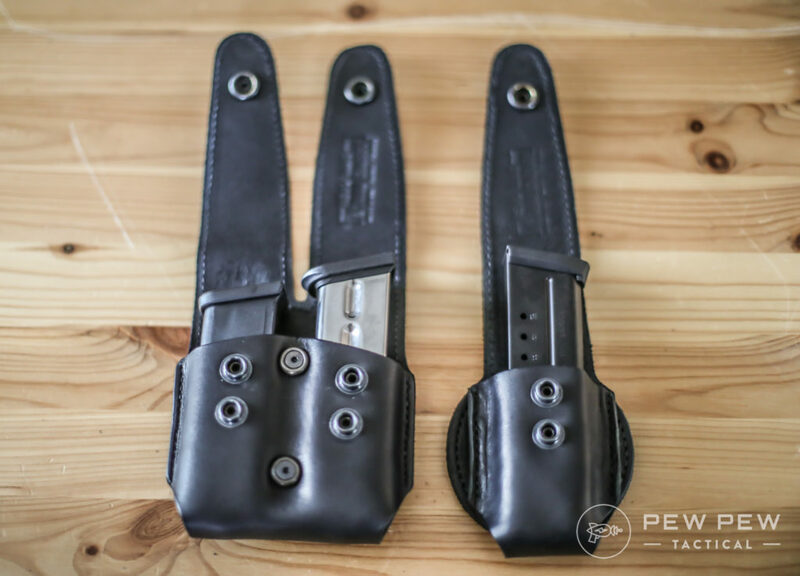 The IWB (inside the waistband) holsters come in two sizes. I tried out both and liked the larger Plus version ($59) better. The regular IWB ($49) had more poking into my side. Now I know what you’re thinking…that thing looks huge and thick (lol). 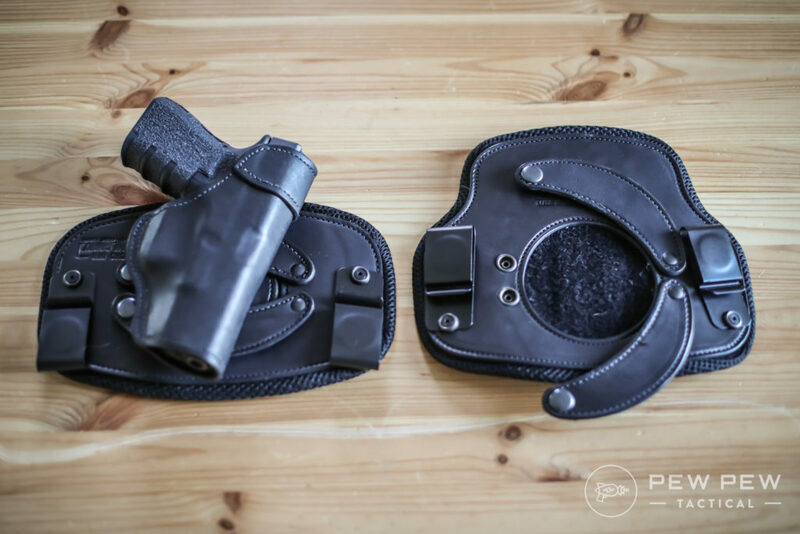 Here’s how it compares to two other IWB holsters I like…the Crossbreed Supertuck and Aliengear Cloak Tuck 3.0 (full review). 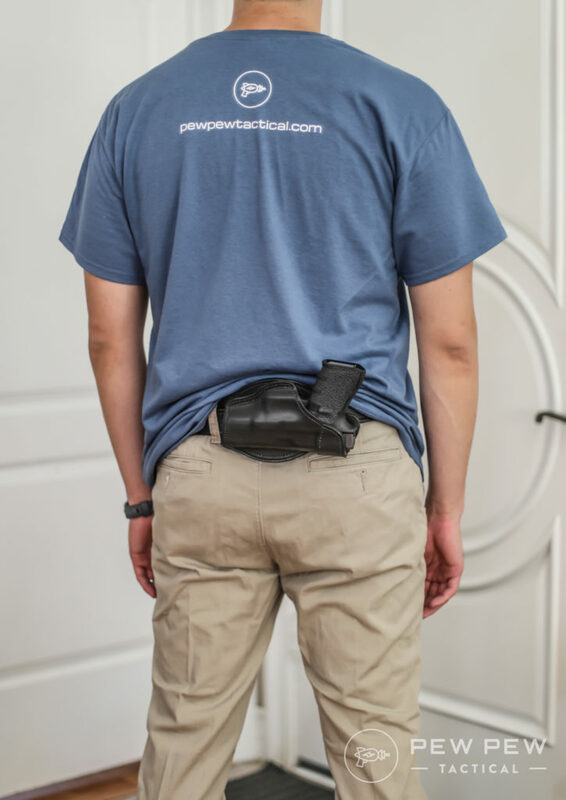 It is thicker than the other holsters, but not by much since the backer compresses a little. Which, by the way, is pretty comfy. I can describe it as being a dishwasher sponge material. 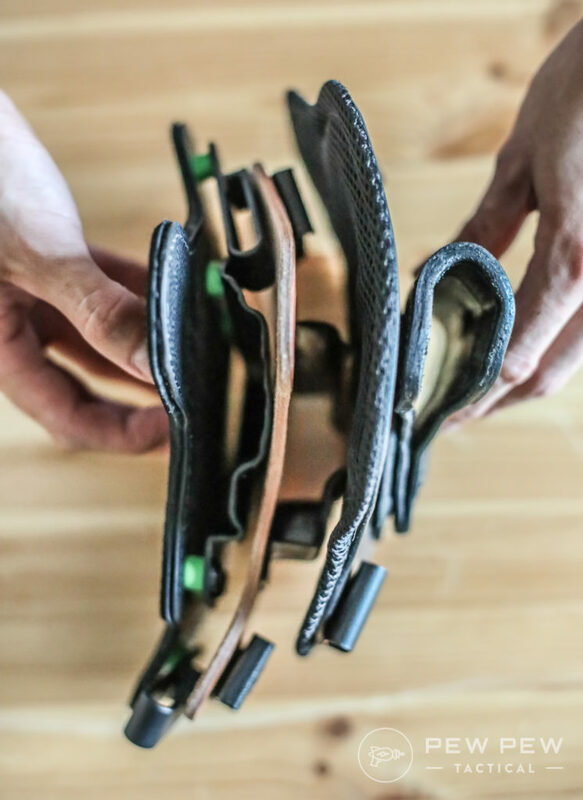 The problem is the sheer amount of extra leather that makes it feel bulkier and heavier. Here are the weights including G19 shell. So about 5 oz more than my comparisons. That’s almost the weight of a billiard ball. 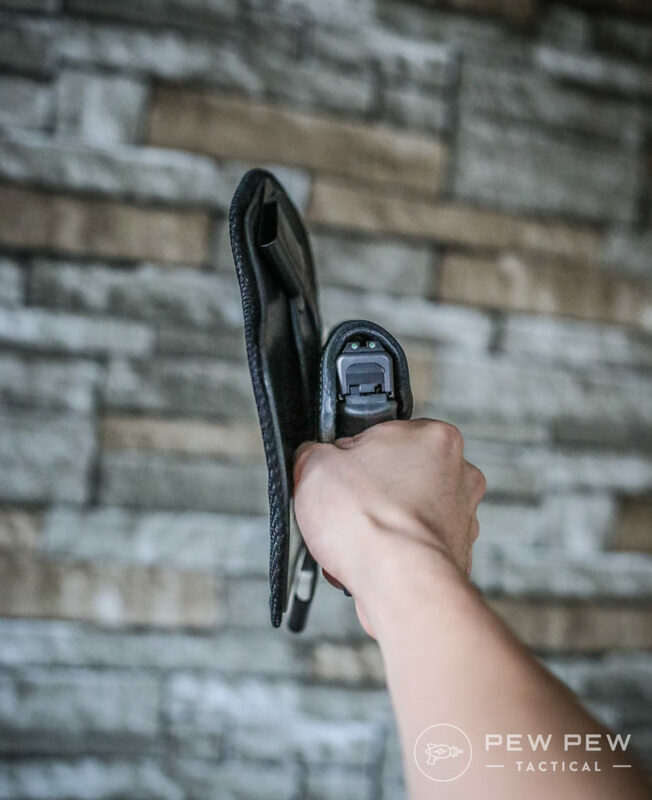 *Update 10/16/2017: Urban Carry has let me know that they are working thinner/lighter models for people willing to sacrifice a little comfort (the current thickness covers pressure points) for a slimmer profile. It’s OK. But I can see how smaller stature people might not be able to hide that plate of leather. One thing that was a deal-breaker (and I’ve heard from the company that they have already addressed for the final consumer version) is the draw. Cool to hear that they are listening to us beta-testers! That extra piece of leather from the shell prevents me from getting the full web of my hand as high as possible. The gap between the shell and the holster also makes it a little hard to easily insert my thumb. I hope it really is fixed by launch. My second favorite way of carrying is appendix style. Unfortunately with the Revo AIWB ($49), one of the clasps for the flaps got pulled out on the third use. I have no doubts if I were a regular customer Urban Carry would take care of it. I met the team and they are an awesome group of folks with a focus on customer service…almost Zappos-like. They stand by their product with a 30-day money back guarantee and a 10-year warranty. *Update: 10/16/2017: Replacement AIWB on the way from Urban Carry as soon as I let them know. Back to the AIWB…it’s huge. Especially when compared to my other ones, like the Crossbreed Appendix and straight-to-the-point Concealment Express. The good news is even with one clasp broken, the shell stayed in place. But then again…it was friction held against my body and pants too. And how does it compare in weight? About what you’d expect. One complaint is that the single belt loop can turn, especially if you have a smaller gun whose grip doesn’t clear your pants as much. 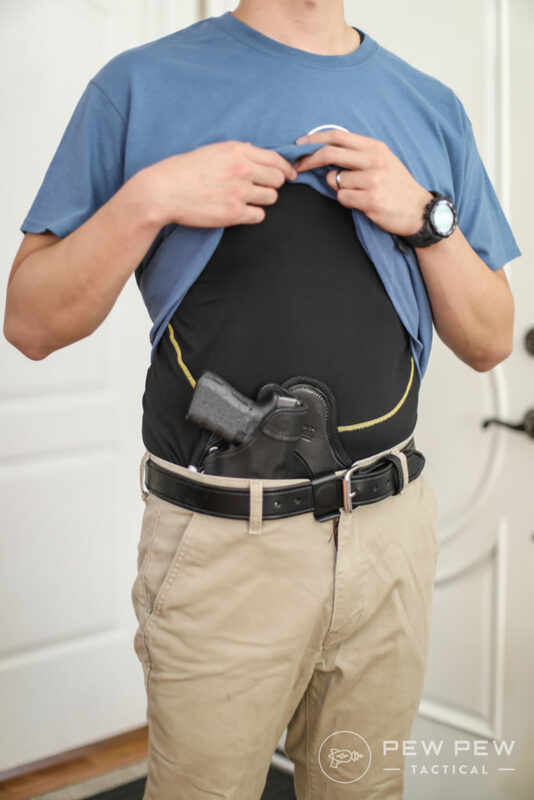 Since the entire holster is pretty large, it could turn and end up muzzling your nuts. Not fun to fix in the real world. Modularity is a good thing when you can use the same shell for inside and outside the waistband. 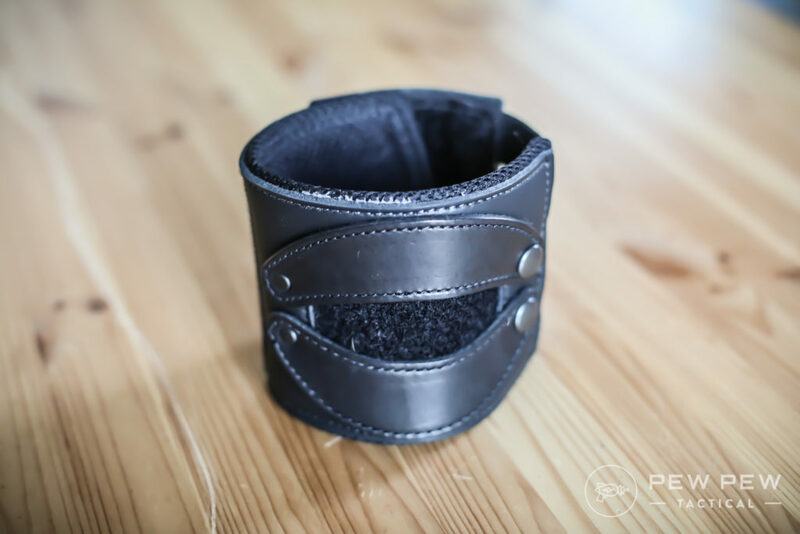 The OWB ($34) is pretty simple and threads through with a belt. One problem that existed in the protoype models is that it was easy to tear off the shell. OK when the models were inside the waistband…but terrible when it’s outside. Good news is that they’ve “fixed” it. It’s good to see it passes the pull test. But what I’d like to see is a shearing test since that is what is going to matter in a real-world struggle. 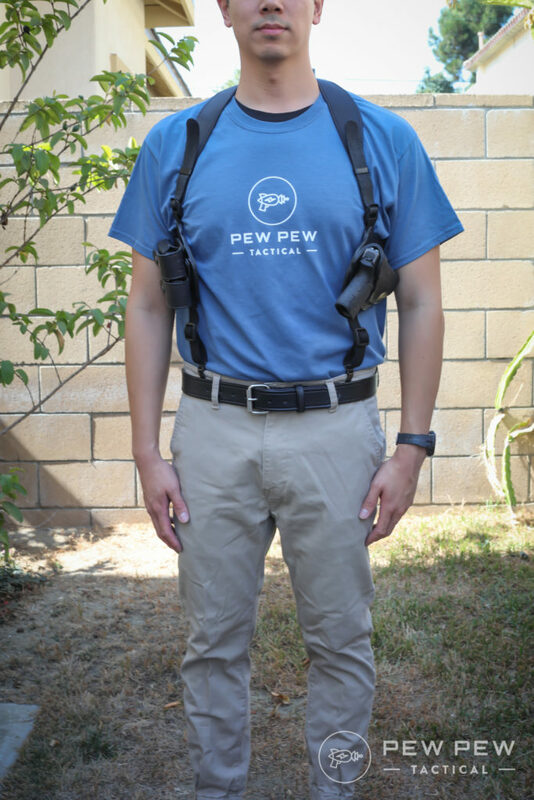 I’m not a tv/movie cop…so I don’t normally wear shoulder holsters ($119). There’s a lot of adjustment possibility. But for smaller stature people you’re going to be left with a lot of flapping leather that you’ll have to cut off probably. The modular system coupled with magazine pouches lets you really choose your perfect angle and side. 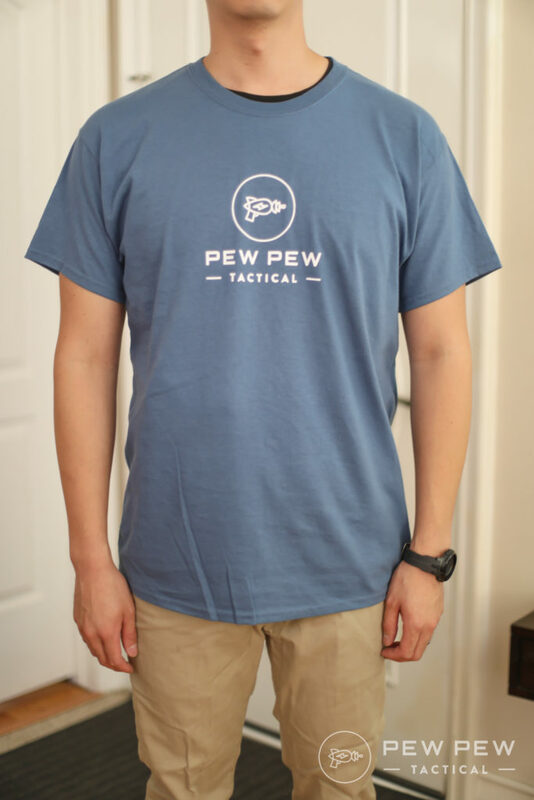 Plus the pouches fit compact, full-size, and single-stack mags. Here’s how it looks on me. I tried to tighten down as much as possible. But it seems like it would still move around when I walked. 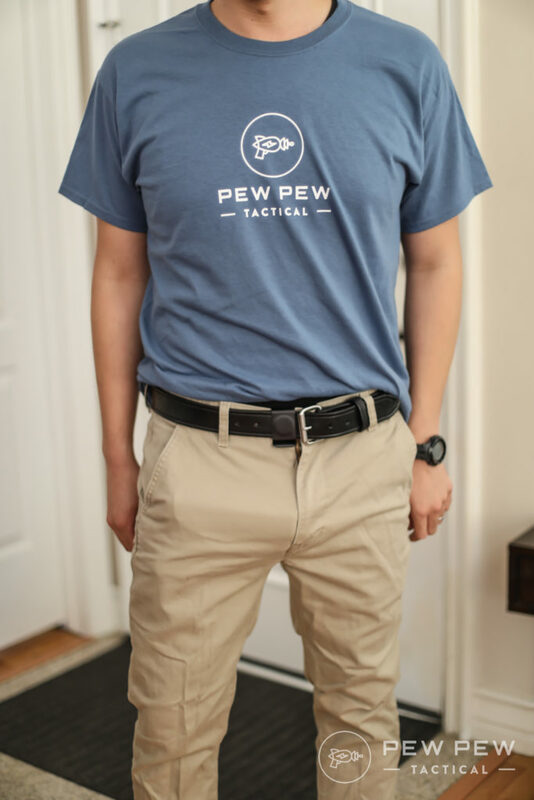 I’m also not tacticool enough for a drop leg holster ($79). But this one was the chunkiest of them all. Good armor against slash attacks. It weighs in at 17.4 oz with the G19 shell. 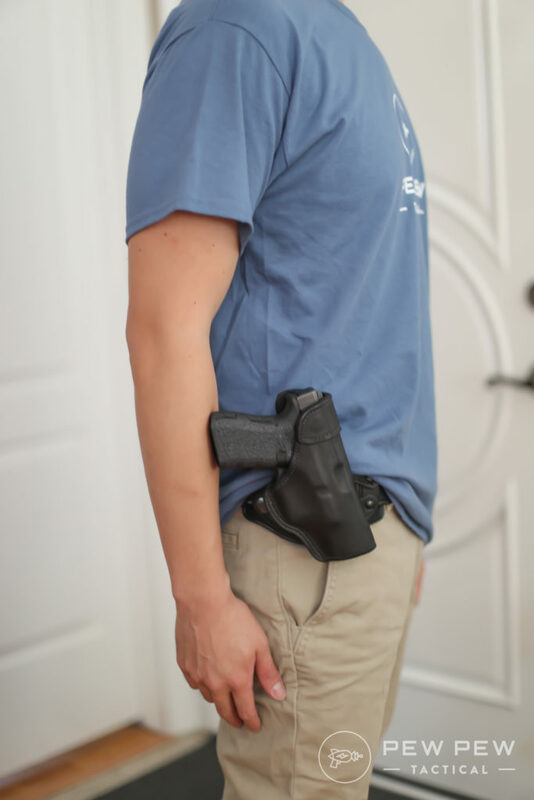 The Urban Carry Belt had a little trouble holding it up with the gun. Otherwise the belt is fine for everything else. And a top down pic for thickness. Tactical sandals only. 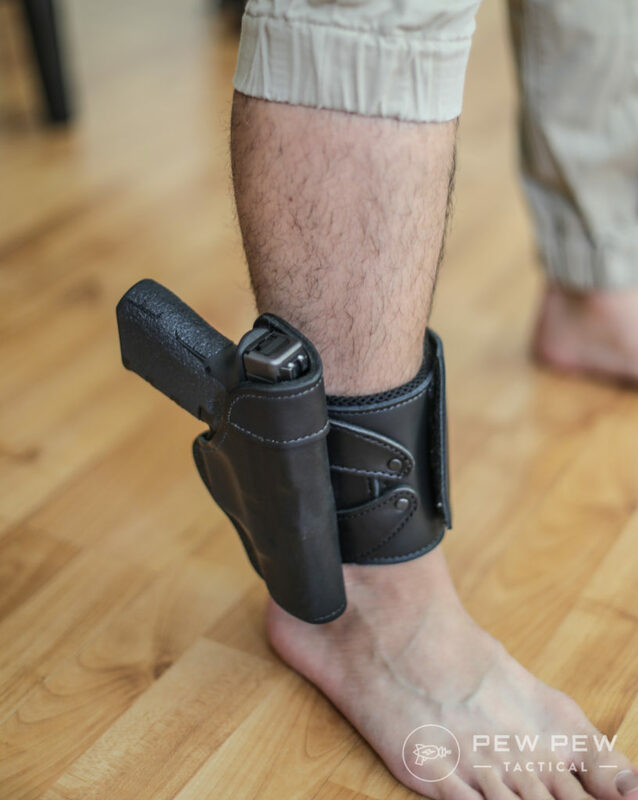 Granted…the Glock 19 is not an ankle holster gun. 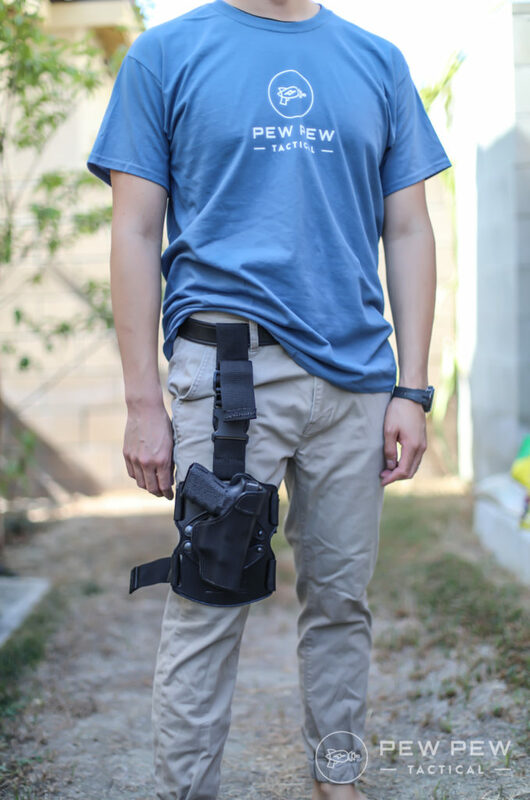 But the ankle holster ($44) itself is like the drop leg…ginormous. My wife thought it was a woman’s thigh holster or court-mandated tracking device. It clocks in at 11.2 oz with the shell. It’s gonna be leg-day everyday with a loaded handgun. 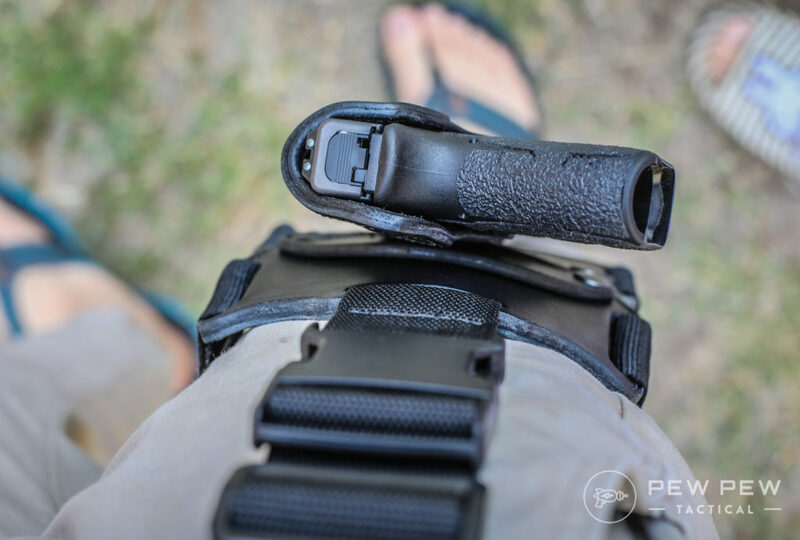 The more extreme curvature of the ankle holster also highlighted the necessity of breaking in the Revo. The clasps tended to come off when putting on the ankle holster. But after a couple times, the leather relaxed a little and all was good again. 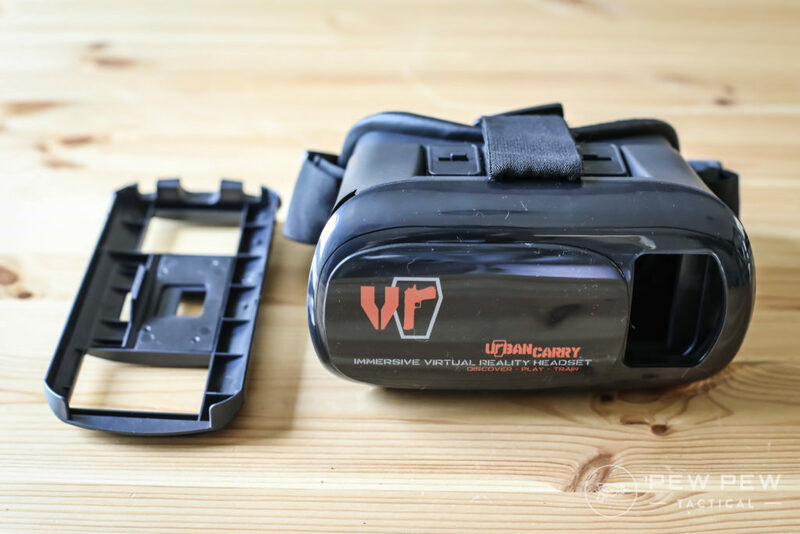 We don’t know much about this…but the early Revo promotion should be a free headset (based off Google Cardboard so you need to put in a smartphone). You then download an app that will have some training videos. *Update 10/19/2017: There was a shipment delay and the release date of the headsets has been pushed to the beginning of November. I only saw the intro screen and a few seconds of a training video. Excited to see how it pans out. 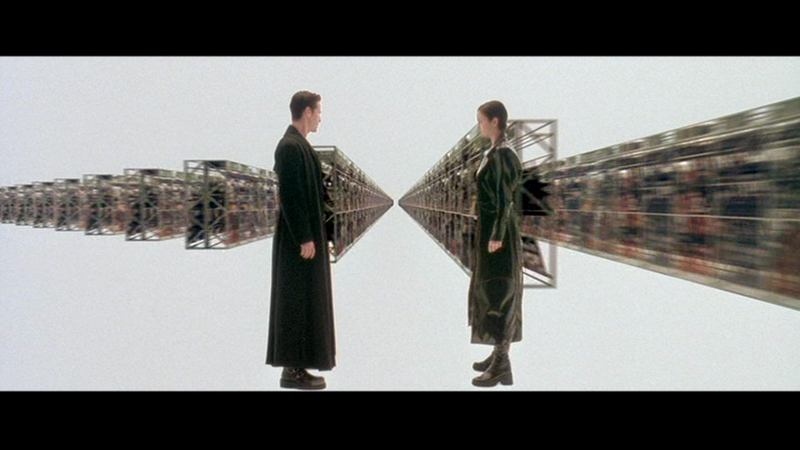 When you choose modularity…you usually have to give something up. In this case it is thickness and weight. 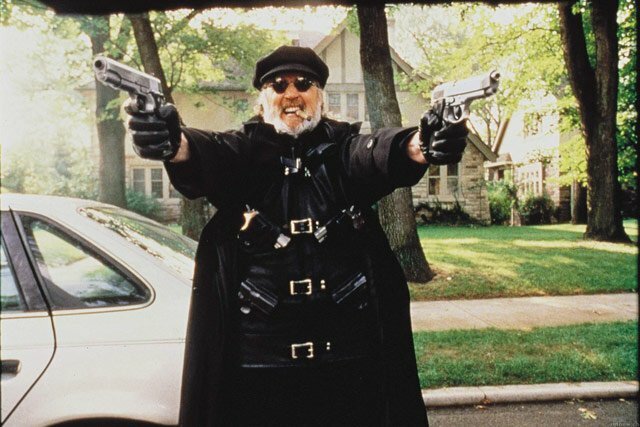 But if you have several guns and carry several ways…it can still make sense financially. Why deal with 16 holsters when you can have 4 shells and 4 holsters. Or if you like unconventional draw cants that are unavailable with other holster manufacturers. After hooking and unhooking the shell a bunch, I do wish in future iterations that there’s some sort of marking system so you can easily remember your cant. Urban Carry went out on a limb here to create something different…and I have the feeling it will be like the G2…where some people hated it and some people loved it. But with a 30 day money back guarantee and 10 year warranty…it could be worth your time to try it out. 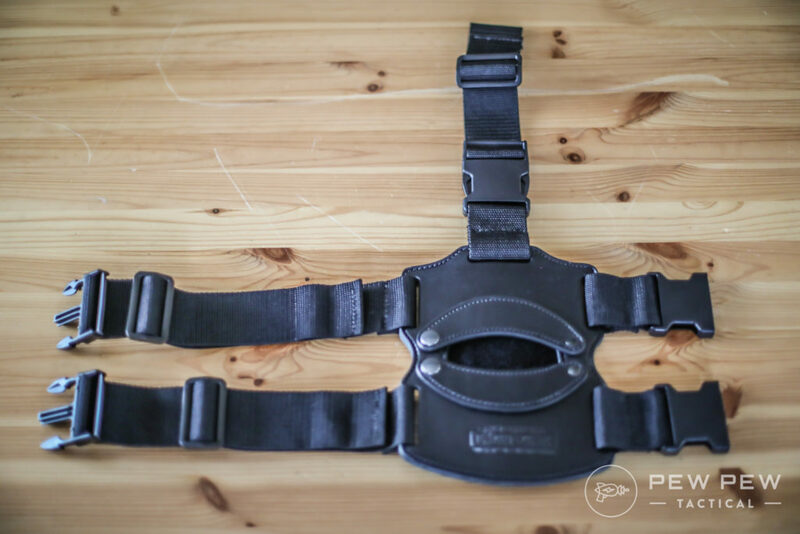 What do you think of the Revo Holster? Do you plan on getting one? I like the concept, and like the idea of the holster being leather, but not sure I’m sold on the velcro and snap set up. 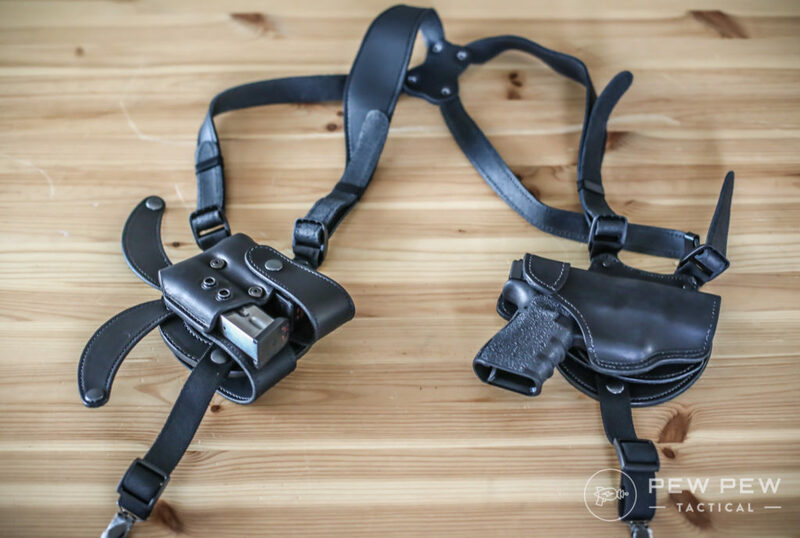 I think for a user swap-able iwb/owb (not interested in drop leg or ankle and would probably just get a dedicated shoulder rig when the time comes)) I’ll check out swaprig first, which also has the shoulder option for those that don’t want a dedicated shoulder rig. Excellent write up! 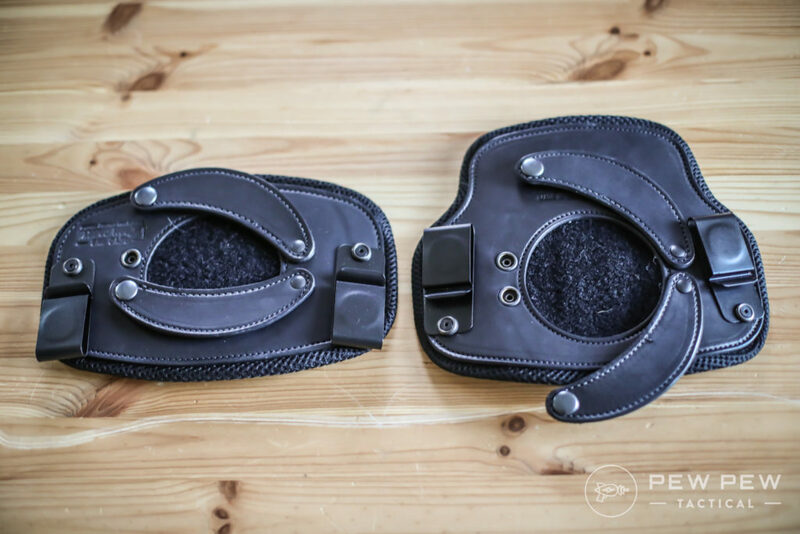 I am curious about the material used in the pad on the back of the holster bases. Is it soft enough that it won’t irritate the skin? 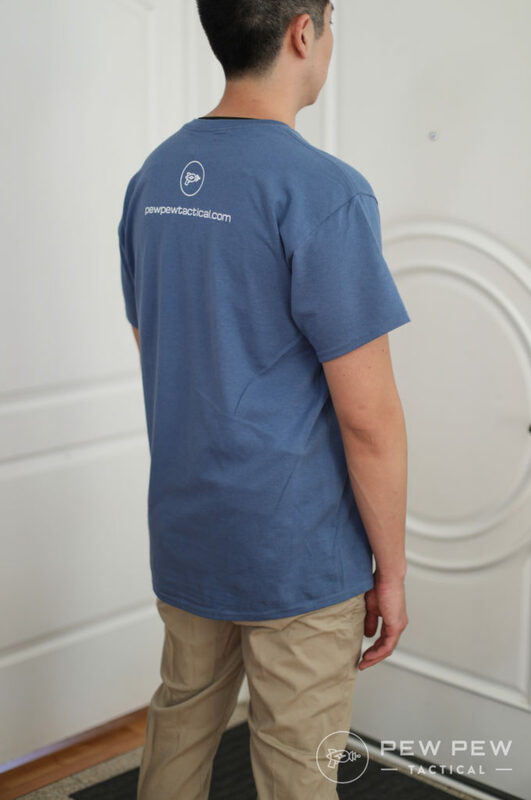 I generally wear an undershirt, but it inevitably rides up when I am wearing my Crossbreed Supertuck for any extended length of time.. Is the pad on these soft enough to be tolerable, or would it prompt a trip to the restroom to adjust my shirt? 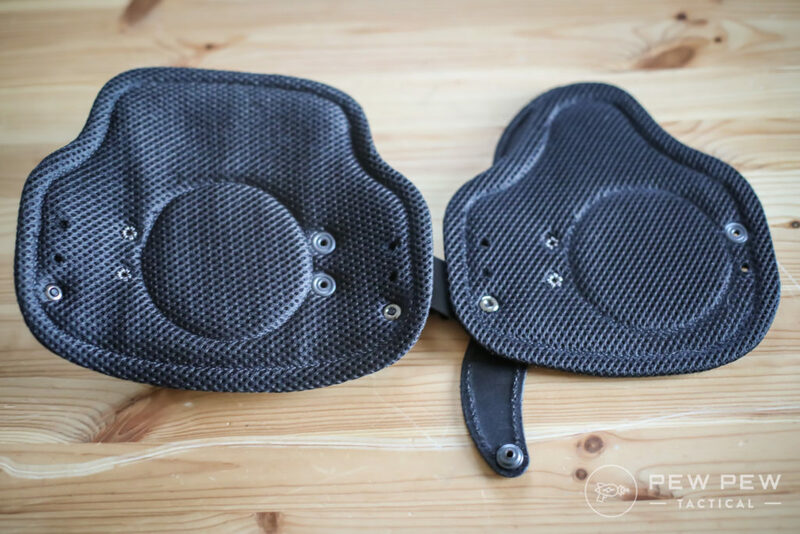 As an early user I can attest, the padding is very soft and it did not bother my skin at all.